A richer variation of my mother’s wonderful (if non-cheddarific) recipe. Preheat the oven to 350°F. Spray loaf pan with oil. 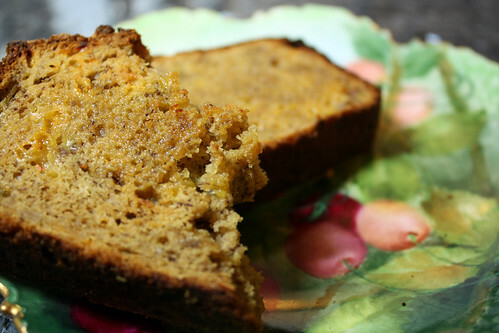 This entry was posted in Recipes and tagged bananas, Bread, cheese, Quick bread on March 17, 2009 by Jessica Petersen.